Headed to Anaheim this weekend? 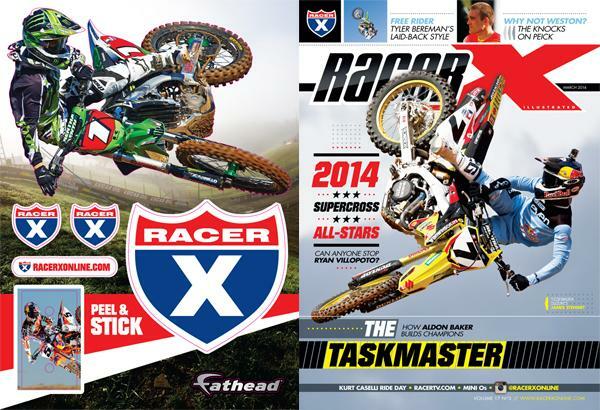 Make sure to come by the Racer X booth to subscribe or renew—and get your Racer X wall-cling! Only $15 gets you 13 issues of Racer X plus a giant, wall-friendly Racer X decal featuring Villopoto, Dungey, and Stewart—and as an added bonus, you can give a digital subscription to a friend!